Leslie is an elegant and thoroughly comfortable range of seating furniture which makes a particularly good impression in the dining room. 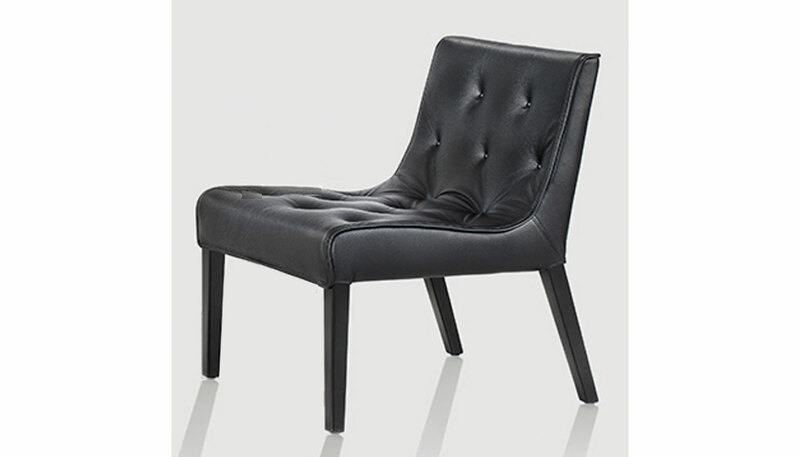 Available with or without tufted upholstery. Leslie’s signature design element is a soft, upholstered mat that appears to be laid loosely on the furniture, though in reality it is permanently attached. In the version with armrests, the interplay of wood and leather upholstery shows a particular love of detail. The range is rounded off by an equally elegant dining table. Manufactured by Wittmann.